I really appreciate the many hundreds of people who have sent ideas in for improvements to the desktop version. I have an extensive list of items to add – and will be working hard to get as many as possible into the next version of BeerSmith. 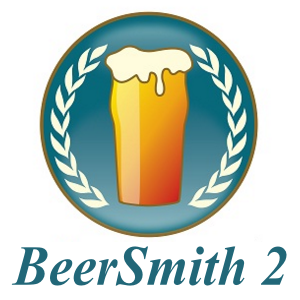 The new updates will be free to all BeerSmith 2.x users, so if you don’t have BeerSmith 2.1 yet, now is a great time to get it! The BeerSmith Mobile launch was a great success – though we did have some growing pains, I published a series of updates to correct issues as soon as I was made aware of them. If you find any ongoing issues after updating your apps, please let me know. However, since I had to correct some problems, it delayed the release of the “Lite” upgrades for Android (now available) and iPhone/iPad (coming shortly). Because of this, I’ve decided to extend the sale price of $7.99 US for BeerSmith Mobile (or $4 US for the in-app Lite upgrade) through August 15th to give everyone a fair chance to get the mobile version at a good price. Heading to the National Homebrew Conference in Philly? I’ll be speaking at the National Homebrew Conference in a few weeks in Philadelphia (June 27-29), and we’ll also be running a BeerSmith booth on the exhibitor’s floor! So if you happen to be going to this year’s NHC please drop by the booth and say hello! I’ll be signing books, demonstrating my desktop and mobile software, and we’ll also have quite a few trinkets to give away, some T-shirts, software and more! Recent Podcasts You May Have Missed – every other week! Sign up for the newsletter to get articles every week! Thanks again to so many of you who provide great feedback to me on the BeerSmith software, my podcast, newsletter, articles and web sites. The success of BeerSmith has really been a team effort with the entire home brewing community, and I appreciate your continued support! You mention an in-app Lite upgrade. However, I do not see this within my up-to-date installed BeerSmith Lite app on the iPhone. Have you included this in the app? Its coming shortly – I had to upgrade some of the iPhone/iPad support structure for Lite to support in-app purchases and that delayed the release a few weeks while I worked through that process. I’m doing testing today and tomorrow and hope to submit it to the Apple store shortly. Hi Brad, I was just wondering if there are plans to realease a mobile version for Windows Phone 8?? I have no immediate plans, but it is possible to convert the software to run on a Windows phone. So I’m considering working on it in my spare time – but for the moment my main focus is completing the desktop updates (and cleaning up a few bugs in the mobile version). Is there a specific place to request improvements or fixes to the desktop version? You can post on the forum or just send me an email. Is it possible to change the carbonation calc based on actual volume rather than estimated volume? As is, it’s not reality usable. Also, can you add maple syrup as a selection or is the sugar content too variable? I’m excited! I use Beersmith desktop for every brew day now but the mobile version is just not there yet. Hi Brad. You mention making BeerSmith “easier to use.” I’m a web software project manager, and have seen a great benefit in getting user-centered design professionals involved with my products. It can take your product to a whole new level. It is on my list of updates to add to the next version. Thank you for considering including the windows 8 phone. I suggest a poll to check how many registered users and would-be users have Windows 8 phones. The trend for this phone is going up since the latest OS has much improvement over the last version. in the Appstore you say that your App is available in German language. But it is not correct. Is a German version planned? First off, love the software and all the hard work you put into it. Are there any plans to move to a complete web-based application like BrewToad? You would only have to deal with browser support issues vs OS issues, and it would be easier for users to access and modify their recipes from anywhere, with just a browser. NOTE: I’m not comparing BeerSmith to BrewToad at all on features, because that one is a no-brainer. Just using it as an example.